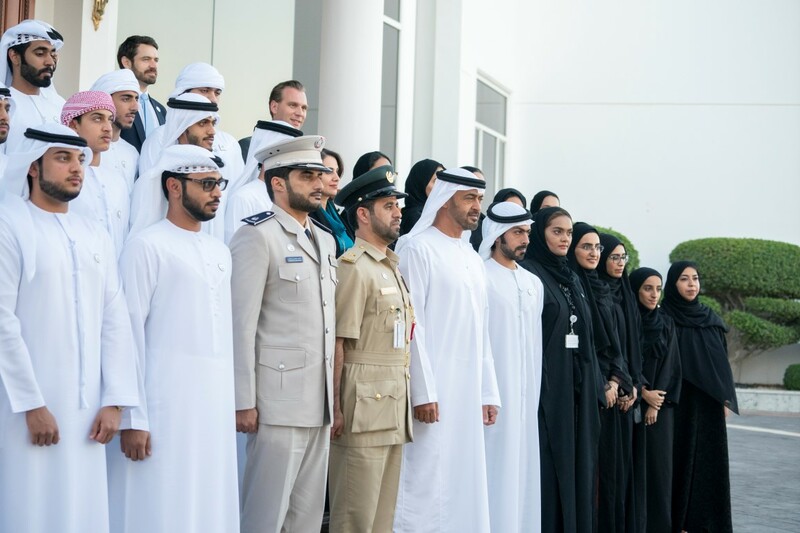 ABU DHABI, 15th April, 2019 (WAM) -- His Highness Sheikh Mohamed bin Zayed Al Nahyan, Crown Prince of Abu Dhabi and Deputy Supreme Commander of the UAE Armed Forces, received the children of martyrs participating in the ''Career Guidance Programme'' for the children of Martyrs '' Steps." The programme was launched by the Martyrs’ Families’ Affairs Office of the Abu Dhabi Crown Prince's Court, in cooperation with Sandooq Al Watan, to discover gifted students, assist them in their future career choices, and identify their potential employment challenges. 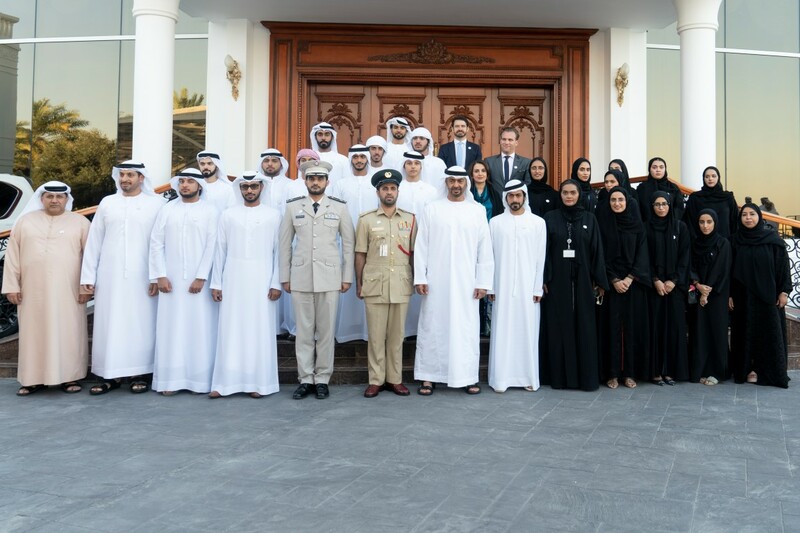 The students participating in the programme expressed their happiness at meeting His Highness Sheikh Mohamed bin Zayed, and valued the support of the wise leadership, as well as his keenness to monitor them, support their families and respond to their needs. They added that his support motivates them to raise their performance and attain the highest academic standards. The programme is part of a series of programmes and initiatives implemented by the office to prepare, train and empower the children of martyrs, as well as to identify their interests and place them in employment sectors that match their ambitions, such as in the areas of energy, research, space, telecommunication, technology, aviation, investment, political science, judiciary and administration. It also aims to guide the children and raise their awareness on the requirements of the job market.